For nearly 40 years the International Christian Embassy Jerusalem has been at the forefront in recognition of the biblical significance of all of Jerusalem and its unique connection with the Jewish people. We are blessed to represent millions of Christians across all denominations to the nation and people of Israel. 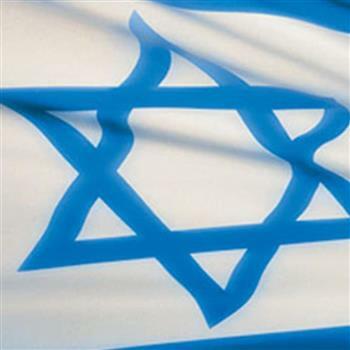 As we stand with Israel in support and friendship and strive to equip and teach the world wide Church regarding God's purposes with Israel and the nations of the Middle East as an active voice of reconciliation to bless Jews, Christians, and Arabs. We are excited to partner to bless Israel in a new way through Run for Zion. This opportunity to run a full marathon, half marathon or 10k race throughout Jerusalem is not for everyone. But as Christians, there's no place more central to our faith. And if you're a runner, this will be the trip of a lifetime. Please join us and friends of the ICEJ in 170 nations to register to participate. We are excited that if you set up your own team page here, you can become eligible for major subsidies that can even make your trip to Israel FREE. And if you're not a runner, you can still support others and our team as a whole with your own donation. With your help we will sustain important needs such as Aliyah - the prophetic ingathering of exiles, provide critical medical services, enhance security for Israeli communities on the periphery near dangerous borders, embrace Holocaust survivors in the last years of their lives, protect unborn babies, nourish hungry Israeli families, care for Christians living among Arab communities throughout the Land, provide social welfare for young men and women who protect the people and the Land, invest in orphans and at risk children to ensure their bright future, and bless Jerusalem and its residents.